Zipcar and the City of Dallas have announced that Zipcar's car-sharing service is now available to Dallas customers for hourly or daily reservations as part of a pilot program. Six Zipcar vehicles are now available in designated parking spaces in city-owned lots, including Pioneer Plaza and Oak Lawn Library, says the company. Zipcars are also found in the greater Dallas area, including Dallas Love Field Airport, University of Texas at Dallas and Texas Christian University. "The City of Dallas is committed to embracing innovation in the transportation sector," said Dallas City Councilmember Adam Medrano, who will welcome Zipcar locations into his city district. "As part of our Parking Pilot Program, we're seeking solutions that improve the overall experience for people driving into and around the city, and Zipcar is a great fit." The vehicles — a Toyota Prius, Ford Escape and BMW 528i — can be reserved on Zipcar's mobile app, online or over the phone. Rates start at $8 per hour or $73 per day, including gas, insurance and 180 miles per day, according to Zipcar. Additionally, the Zipcar for Business (Z4B) program will offer discounted driving rates to local Dallas businesses Monday through Friday, says the company. 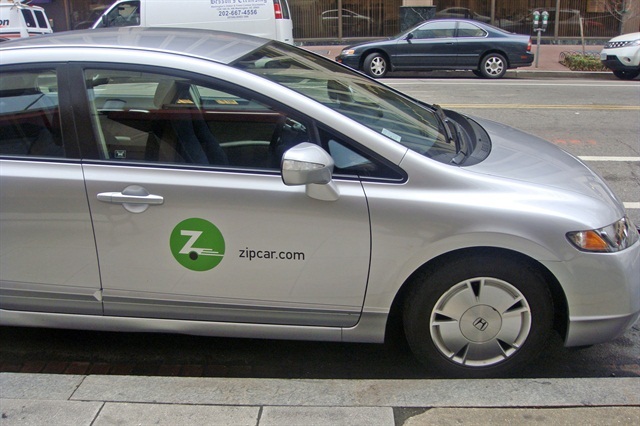 “Zipcar's convenient and affordable model lets residents have all the benefits of car ownership without the cost and hassles, while helping the city reduce congestion and parking demand,” said Kaye Ceille, president of Zipcar. For more information, visit www.zipcar.com/dallas.